Aura Kingdom beta open to all on January 6. 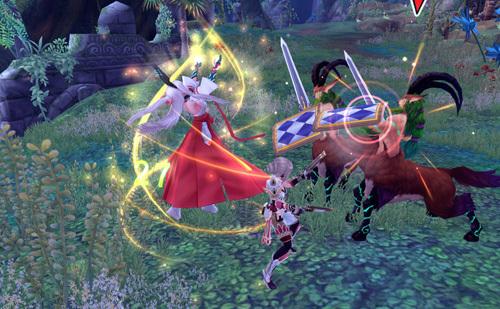 Aura Kingdom’s open beta test will kick off on Monday, January 6 at 5:30 PM PST, publisher Aeria Games has announced. In preparation for open beta, the stress test server will close for maintenance today at 4 PM PST. All server data except Founders’ character names and Founder Pack items will be wiped later today. The open beta will introduce new zones, dungeons, items, an increased level cap of 75 and even new gameplay mechanics. To learn more, check out the official Aura Kingdom website. Tagged Announced, Aura, Beta, Date, Kingdom, Open.